St. Patrick's Day is one of my favorite holidays. My mom always made a big deal about it because, you see it's my birthday as well. So she always decorated with fun St. Patty's Day decor. And she was sure to pinch us as soon as we woke up, before we could put on some green. We soon learned to wear green to bed the night before. So each year I like to add something to my St. Patrick's Day decorations. 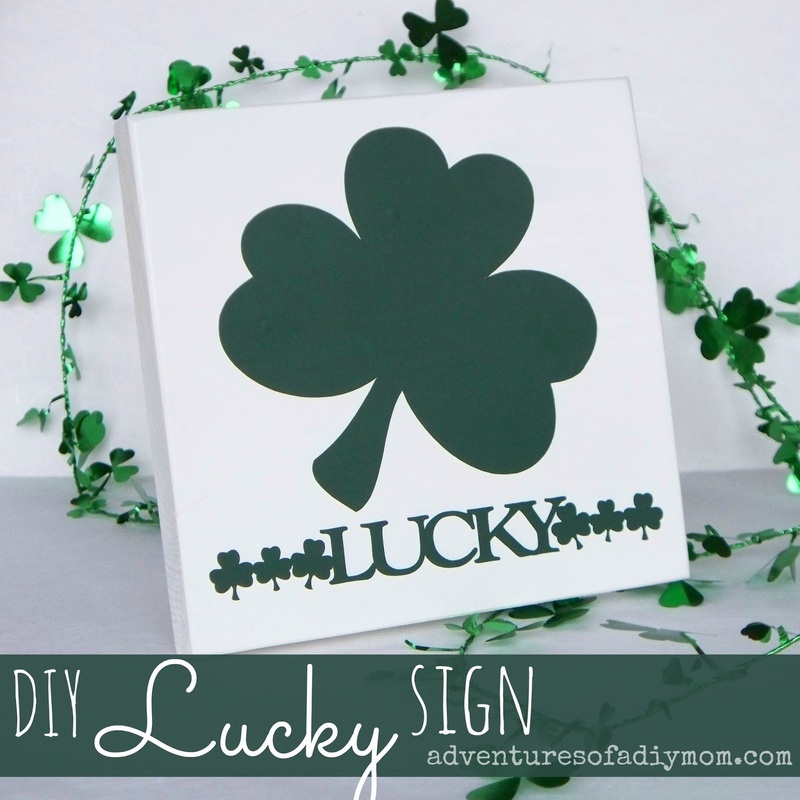 This year, I made a little Lucky Sign. As I was looking through the decor I already had, I realized that I really liked the things that were white and dark green the most. So I grabbed some scrap wood, screws, paint and vinyl and whipped this little sign together in no time.You may remember my Valentines sign. It's just like it, except I used paint instead of stain. Click over to my Wood and Vinyl Valentine's Art for the full tutorial. I love projects where I use supplies I have on hand. I get such a sense of accomplishment making something from scraps. 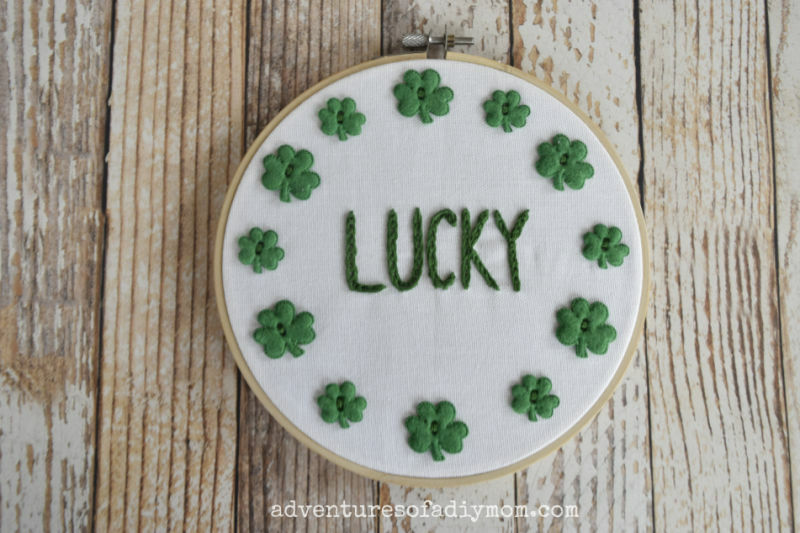 What have you made for St. Patrick's Day? very cute! love st. pat's decor.